Blonder Tongue’s VersaTap Series is the most complete and mechanically robust line of MATV and CATV wall taps and plates available. These products are manufactured using steel back plates with ivory plastic front filler plates (except TF-GF-FT). 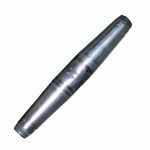 RFI shielded models are available in coupling values of 4, 6, 9, 12, 16, 20, 24, 27, and 30 dB and are designed for CATV wide band operation (5 to 900 MHz). 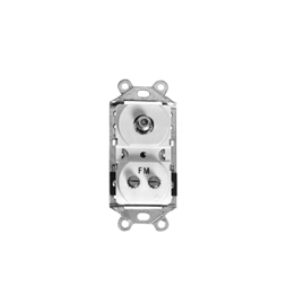 Non-RFI shielded outlets suitable for off-air UHF/VHF MATV applications (only) are available in 12, 17 and 23 dB values. Models are available with dual outlets, separate FM connections, and 5 pin DIN connectors for bedside control in hospitals. The entire VersaTap line is designed to fit all standard electrical boxes and cover plates.